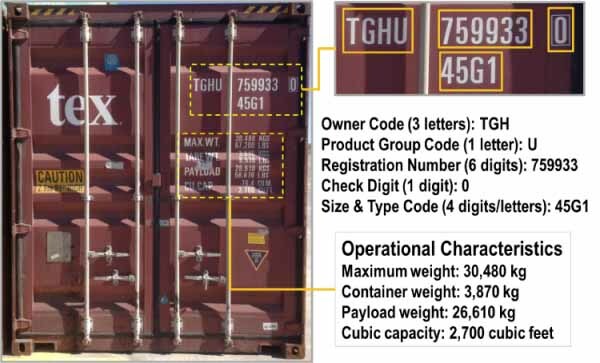 Enter your apl container tracking number below, should have format APLU1234567, get the real-time apl container status. APL is the seventh world largest ocean carrier, offering more than 80 weekly services and over 500 calls at more than 140 ports worldwide. We provide container transportation and value added supply chain management services through our international shipping network which combines high-quality intermodal operations with state-of-the-art information technology, equipment and e-commerce. APL is a wholly-owned subsidiary of Singapore-based Neptune Orient Lines, a global transportation and logistics company. If you have problem with our container tracking system, please track your container directly on the APL website. If you get no tracking information from APL official website, you’d better contact APL. When you ship with APL, you will get a apl container tracking number with format APLU1234567, APLU is one of APL’s prefixes. APL have the following prefix: APLU, APHU, APRU, APZU, NEPU, NOLU, NOSU, NUSU, APDU. Know more apl container tracking number information from below picture. If you have problem with our APL Tracking system, submit your problem here, we will help you as soon as possible. Declare: We can NOT contact carrier or others on your behalf, we can only help you track your package with your APL container tracking number on official tracking system.